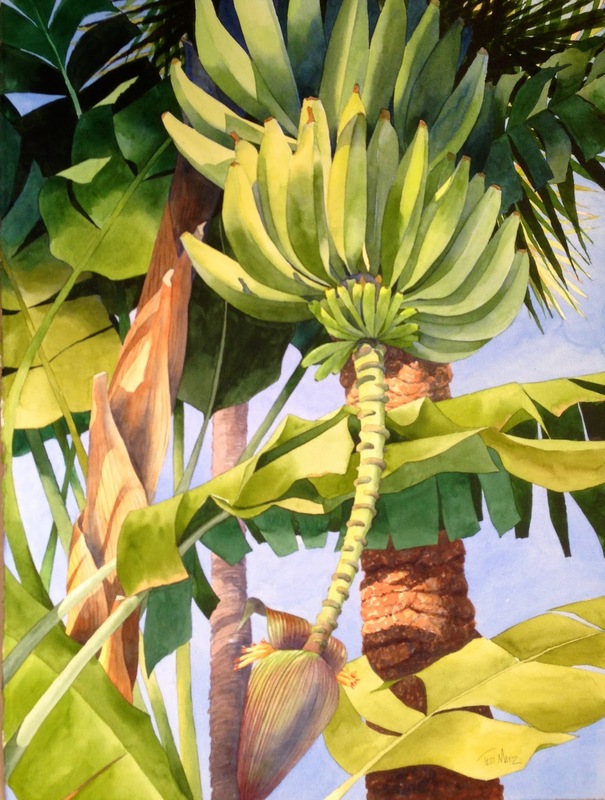 This recent watercolor was made from a number of reference photos I took while in Key West in July. Love the way the bananas grow. I tried to limit my palette to just to eight colors, with a palette divided into warm and cool. Was a fun experiment and thought it was a fairly successful interpretation of what I had seen. Also like the “looking up” perspective.